For a long time, scientists have cherished the dream of observing chemical reactions at an atomic level. In this issue, Nakamura and Harano (pp. 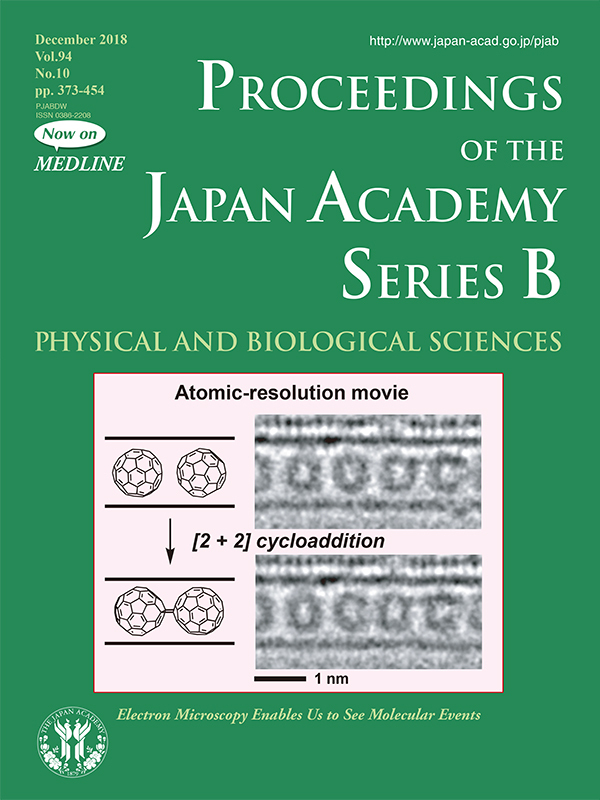 428-440) demonstrate the feasibility of a kinetic study by the in-situ observation of individual reaction events by atomic-resolution electron microscopy. They describe a [2+2] cycloaddition reaction of fullerene in a carbon nanotube. The reaction occurred via an excited state or via radical cation, depending on the reaction temperature. With the obtained experimental dataset, they provide the first experimental proof of the prediction of the quantum mechanical transition state theory, which postulates that isolated molecules behave as if all their accessible states were occupied in a random order.